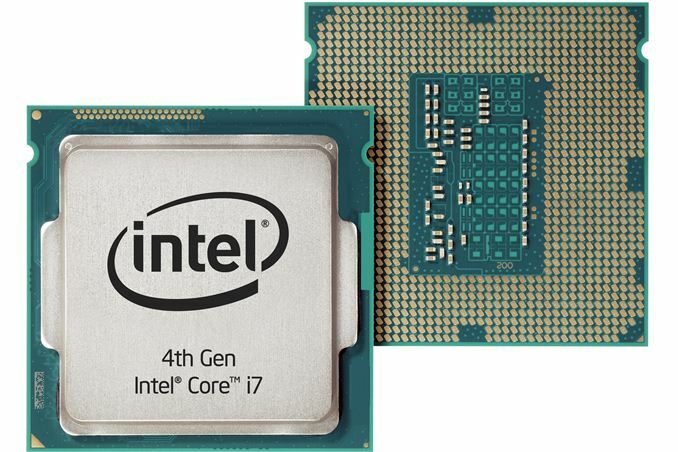 PC makers are unveiling devices with Intel’s fourth generation core processors. Asus, Cyberpower and MicroCenter have all announced gaming devices that include Haswell CPUs. Haswell chips deliver power efficiency and speed improvements compared to previous generations of Intel Core processors. According to Kelt Reeves, CEO of Falcon Northwest, Haswell chips provide a performance boost of upto 15 percent when compared to Ivy Bridge and Sandy Bridge chips. This is a welcome development to laptop makers to whom performance-per-watt is an important factor. The chips will also lead to smaller and quieter desktops compared to previous models. Intel officials predict that gaming PCs will now be able to handle demanding games with the combined power of Haswell chips and graphics cards. Asus newly unveiled PCs, the ET2702 and ET2311 will now be able to display high resolution graphics courtesy of Haswell CPUs. The former has a 27-inch display with a resolution of 2560 x 1440 pixels while the ET2311 has a 23-inch display with a resolution of 1920 x 1080 pixels. Cyberpower’s FangBook EVO HX7-200 laptop focuses on better performance for gamers. The laptop has a 1920 x 1080 pixel display, the processor is a quad-core 2.4GHz Intel Core i7-4700MQ and a Nvidia GeForce GTX 780M for graphics. MicroCenter’s desktop, PowerSpec G411 desktop comes packed with Intel Core i7-4770K unlocked processor. For graphics, the device has the Nvidia GTX660Ti. The device is being sold for $1,399.